Save when you purchase a 2 pack! With the revolutionary Genie® Remote, it’s now easier than ever to find what you want to watch and control your entertainment. • Fewer buttons and streamlined layout. Now you’ll know what every button does! 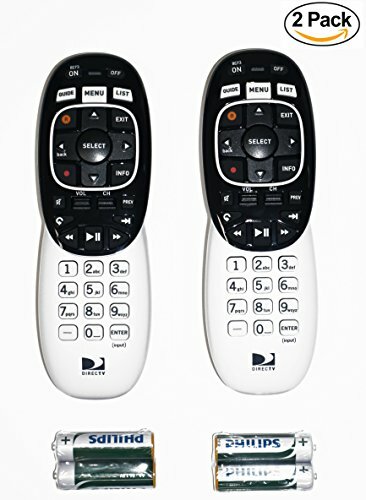 • Faster response time than our standard Universal Remote, so your receiver reacts instantly to every button-press. • Uses both infrared (IR) and radio frequency (RF) technology. Genie Remote is compatible with Genie® (model HR44 or above), Genie® Lite (model H44 or above), Genie® Mini (model C41 or above), 4K Genie® Mini (model C61K or above), and Wireless Genie® Mini (model C41W or above) in RF mode—no need to point. It’s also compatible with all DIRECTV receivers and DIRECTV Ready TVs in IR mode (requires pointing at the equipment).